Ships today if you order in the next 13 hours 27 minutes. 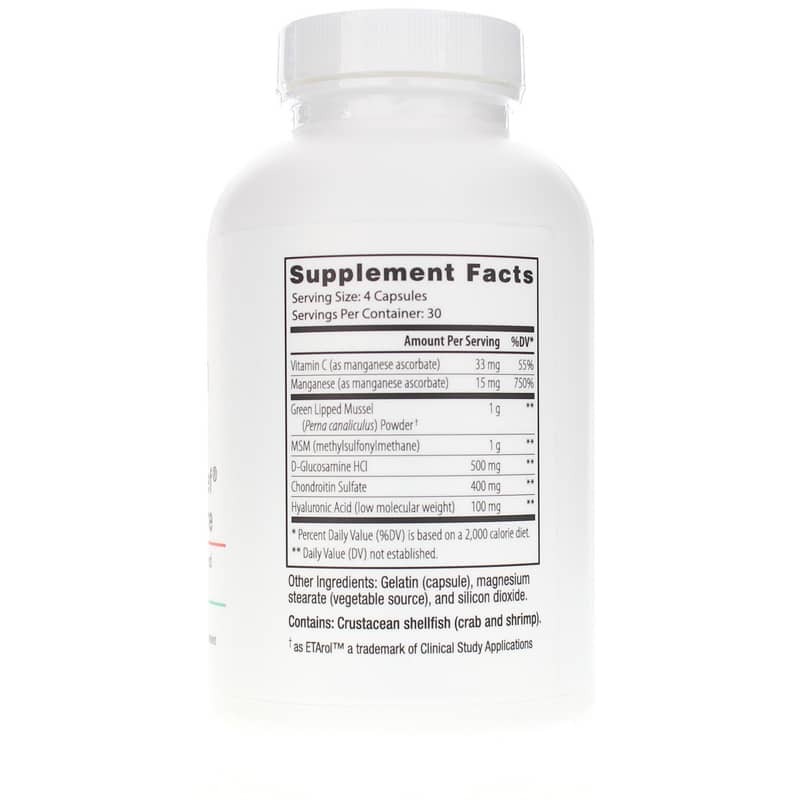 Nutri-Dyn offers a natural supplement called Chondro-Relief Intensive Care that seeks to provide comprehensive joint and soft tissue support. 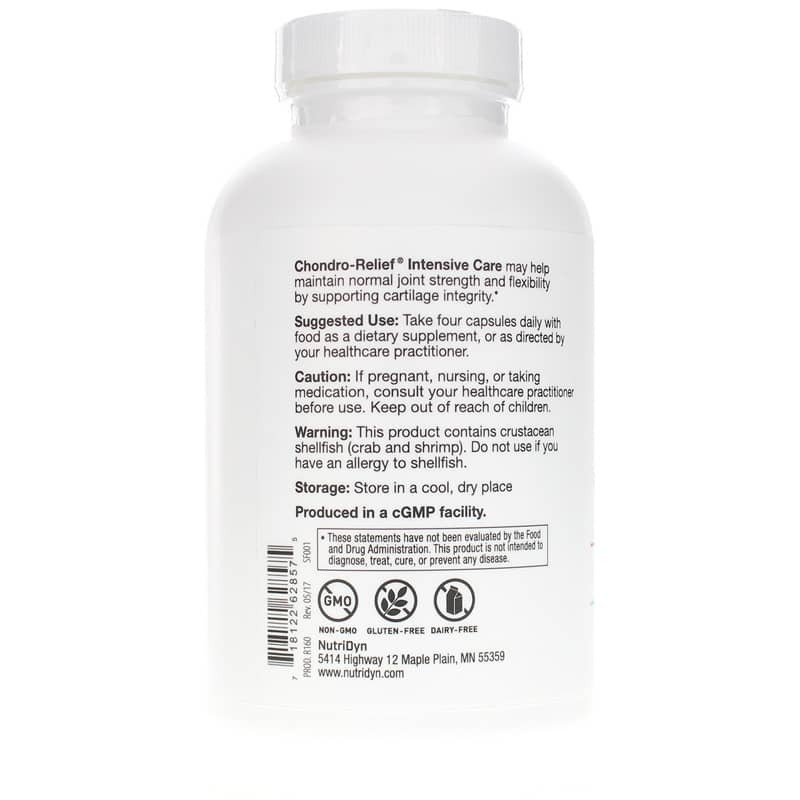 This "intensive care" form of Chondro-Relief has all of the benefits of the original with the addition of methylsulfonylmethane (MSM), a substance that may provide temporary relief of occasional pain, swelling and irritation in the joints. 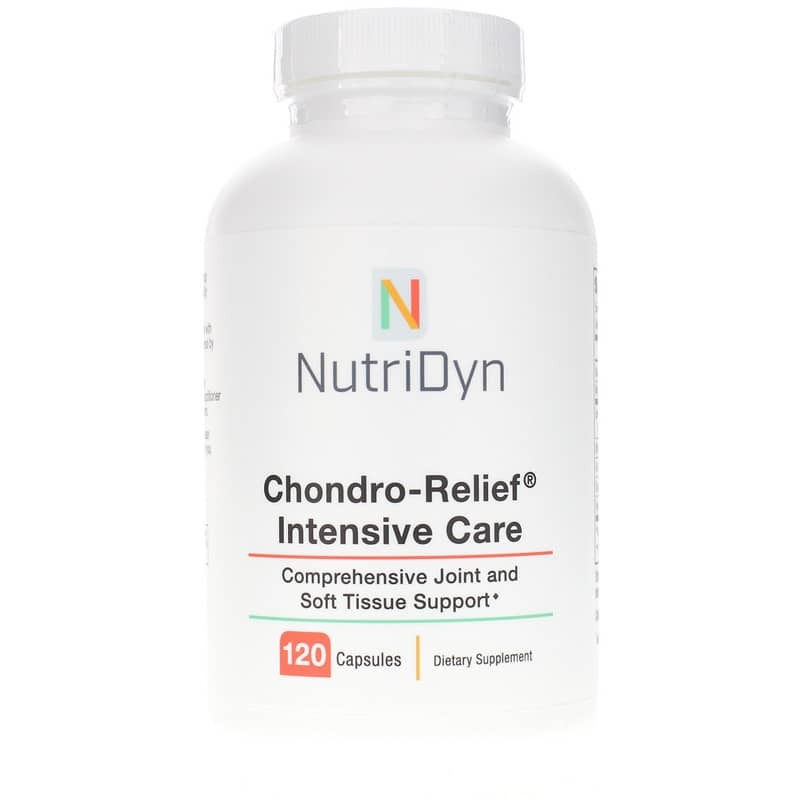 If you're looking for a natural supplement that seeks to provide comprehensive joint and soft tissue support, check into Nutri-Dyn's Chondro-Relief Intensive Care. Order online today! Other Ingredients: gelatin (capsule), magnesium stearate (vegetable source), silicon dioxide. Adults: As a dietary supplement, take 4 capsules daily with food or as recommended by a healthcare professional. This product contains crustacean shellfish (crab and shrimp). Do not use if you have an allergy to shellfish. If you are pregnant, nursing, taking medications or have a medical condition, please consult your healthcare practitioner before taking any dietary supplement. Keep out of the reach of children. Nutri-Dyn Chondro Relief Intensive Care is AWESOME! I absolutely love Chondro Relief Intensive Care! I've been taking this supplement for years and have absolutely no sign of arthritis or other degenerative diseases. I'm turning 64 soon.